Reading Now:In 2018, Eurosender helped Erasmus students save 100.000 EUR! The company also reaffirms its commitment to support and sponsor the Erasmus Student Network (ESN) organizations in the future. Eurosender, the leading platform for shipping services in Europe, has helped Erasmus students to save 100.000 EUR in shipping costs last year, reaching the milestone for the first time. The company currently partners with 54 national and local ESN sections from 19 different European countries. 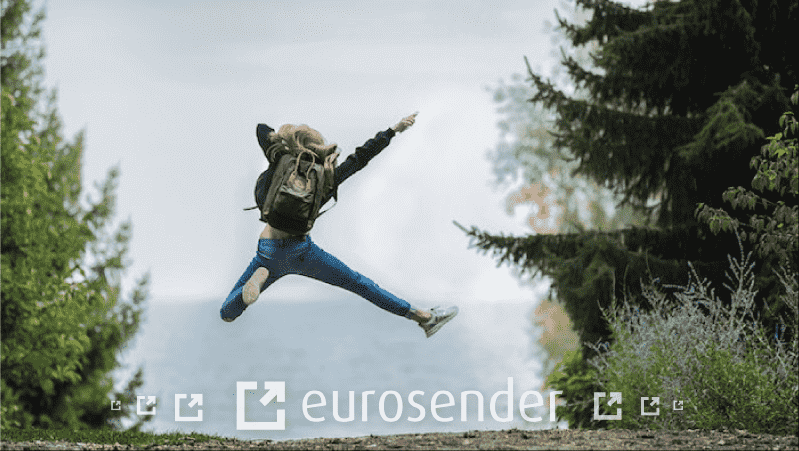 Eurosender enables ESN members to redeem exclusive discounts on all shipping services, including package and luggage delivery. “Being an Erasmus student myself I have seen first-hand how indispensable ESN organizations are for international students. I am, therefore, personally excited that Eurosender has become part of the community by making student exchanges even more enjoyable and affordable,” says Tim Potocnik, CEO, and co-founder. He also reaffirms commitment to support ESNs activities in the future. “We will continue sponsoring projects and events wherever we can,” Potocnik adds. Eurosender intermediates the shipping of any item, from 2kg packages to furniture and van delivery. The company contracts the world’s most respected courier providers (among which DHL, Kuehne+Nagel, DPD…) and boasts of 70 percent lower prices compared to standard courier rates while offering support in 16 languages. 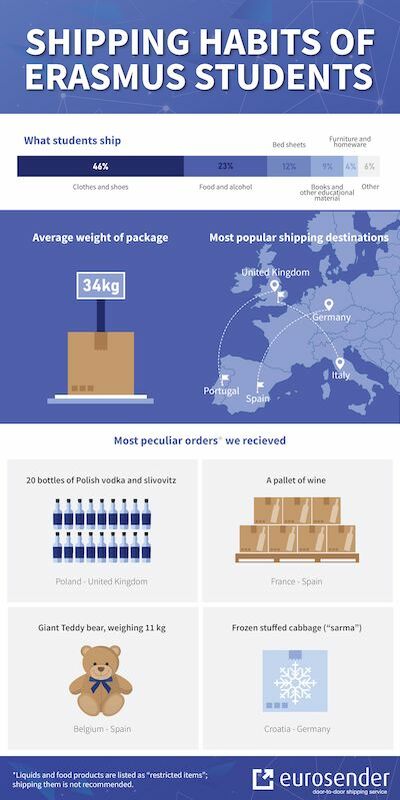 The team acknowledged the 100.000 EUR target by preparing a short report on student shipping habits, based on the order requests to Eurosender’s customer support and sales departments*. See the below infographic for more details. Please note that Eurosender does not recommend shipping liquids and food. *Eurosender does not request information on educational or occupational statuses of users. The data on student’s shipping habits is based on voluntarily given information to Eurosender staff.